I’ve been drawing postcards, a way to think fast, draw fast, satisfy a need I have at times to work quickly and see a result right away. 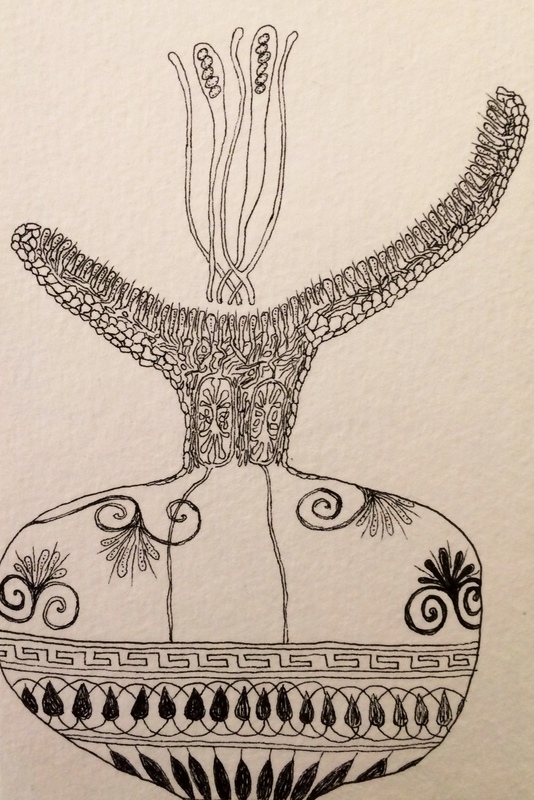 I’ll be adding more postcards to this gallery but am beginning with this one, Discomycetes Amphora. Part of the fun of making these postcard drawings is that I don’t make any preliminary drawing. Whatever comes out of the pen and onto the paper I deal with it. If it’s a mistake I figure out how to make it work with what I’ve already drawn. I feel a certain thrill about drawing this way, as if anything could happen. Maybe it’s the way people feel when they ride roller coasters, sudden dips and speed, careening around bends. I feel that way about making lines on paper. 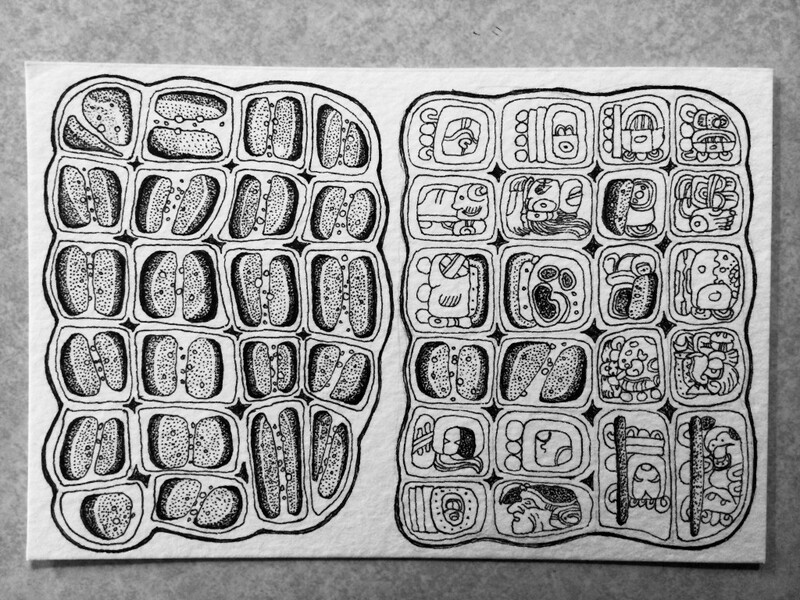 I’ve entitled this postcard Phaeoplaca glyphs.